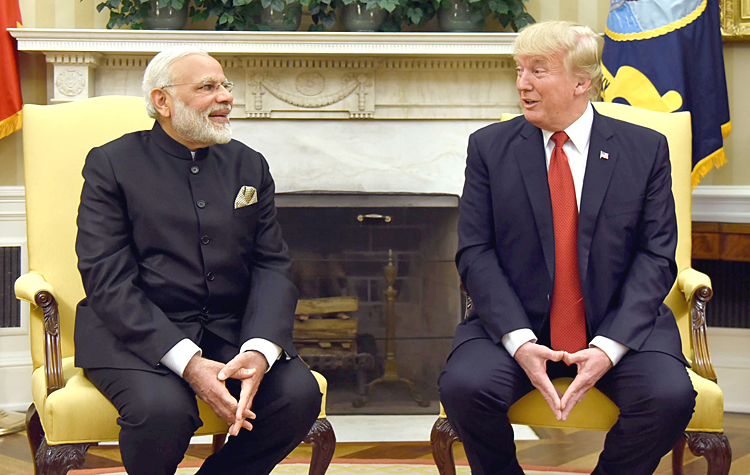 The first Indo-US Dialogue is finally happening almost one year after US President Donald Trump called PM Narendra Modi on August 15, 2017, congratulating him on India's 71st Independence Day, after which the White House announced India and US will start a new 2-by-2 ministerial dialogue to enhance "peace and stability across the Indo-Pacific region, saying, "The leaders resolved to enhance peace and stability across the Indo-Pacific region by establishing a new 2-by-2 ministerial dialogue that will elevate their strategic consultations." The dialogue participants were to be the Ministers of External Affairs, and Defence from India, with their US counterparts. The first dialogue was earlier slated to be held on April 18 or 19 this year but got postponed due change of US Secretary of State and Wand Washington announcing postponement in March 2018 citing uncertainty over confirmation of mike Pompeo as new US Secretary of State after President Trump fired Rex Tillerson. But now EAM Sushma Swaraj and RM Nirmala Sitharamn are scheduled to meet Secretary of State Mike Pompeo and Defence Secretay James Mattis on July 6 for the first such dialogue. Much has happened since the Modi-Trump telephonic conversation of August last year and before under Trump's rule. The US pulled out of the TPP, Paris Accord, Iran Nuclear Deal (or JCPOA). US imposed sanctions on Russia and Iran, and is embroiled in trade war with China. In terms of tariffs, US has not spared its allies, as also India – all of which has resulted in these countries imposing tariffs on US goods. Trump has on three occasions criticized Indian tariffs Harley-Davidson motorcycles. To add to this, the proposed cuts by the US in H-1B professional visas and cancellation of H4 spouse visas, besides India cutting prices on medical devices manufactured by US companies, have also contributed to the tensions between the two countries. The Trump-Kim summit finally happened on June 12 where Trump announced suspension of US-South Korea joint exercises, leaving US allies speculating about America's commitment during crisis, also because US appears to have given up on China's claims and militarization of the East and South China Seas. Sanctions on Iran have left European nations fuming, plus adversely affecting the Chabahar project of India. In addition is the new US law, Countering America's Adversaries Through Sanctions Act (CAATSA) signed by Trump last year, which includes sanctions against countries that engage in significant transactions with Russia's defence and intelligence sectors. India has been negotiating purchasing five S-400 Triumf air defence systems for around $4.5 billion from Russia, which US officials say could be considered as a significant military purchase and, hence, attract sanctions under CAATSA. US recently pulled out from the UN Human Rights Council (UNHCR) alleging biased allegations against Israel, with US Ambassador to UN calling it "an organization that is not worthy of its name." India has already experienced UNHCR bias through its first report on Kashmir. US interests for the dialogue possibly are: cooperation on the high seas of Indo-Pacific, developments in Korean Peninsula and West Asia; situation in Afghanistan; Pakistan exporting terror (if at all) in Afghanistan; defence cooperation with India – business, and; Chinese expansionism including in Indian Ocean. US would also like to probe outcomes of the Modi-Xi and Modi-Putin informal meets held recently. 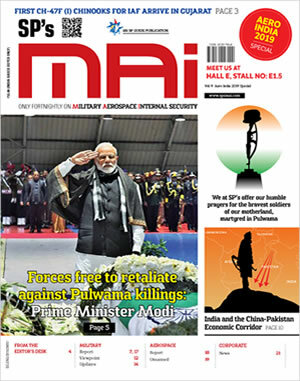 From the Indian side, agenda for the dialogue should logically comprise: China-Pak nexus (including CPEC, Gwadar, PLA Base in Skardu and others likely in FATA and Afghanistan) and its effect on the region; free-run by Pakistan Haqqanis, support to Taliban, LeT, JuD, HuM etc; need to put Pakistan under sanctions for generating terror; US aid to Pakistan should also be linked to closure of anti-India terrorist camps in POK-Pakistan, not just sanctuaries of Taliban and Haqqanis; full Indo-US Defence Deal instead of piecemeal discussions; Indo-Russian defence deals to run parallel, with or without US approval – for example US blocking the Indo-Russian Trumf deal in final stages and attempt to force purchase of US Patriot missile systems would damage the Indo-US strategic partnership, and; counter Islamic State strategy in vulnerable states like Afghanistan, Bangladesh, Myanmar and Maldives; China's support to Pakistani terrorism against India and J&K-Northeast in particular. China's state-sponsored media has been threatening China can enter J&K on Pakistan's request, destabilize and separate India's northeast, and create instability in Sikkim. While US supports the 'One China' policy, US could also announce support to 'One India' if it accords due importance to the Indo-US Strategic Partnership, This would serve as a signal to the world; also addressing China's illegal claims to Indian Territory including Arunachal Pradesh, as well as Pakistan's illegal claim to J&K, the 1949 UN Resolution on Kashmir having already acknowledged accession of original State of J&K to India. Myanmar too must be discussed in detail, with China lethally arming the United Wa State Army (UEASA) in Myanmar, establishing United Liberation Front of West, South and East Asia, faking support to Myanmar government against Rohingyas and simultaneously supporting the Arakan Rohingya Salvation Army (ARSA) through Pakistan's ISI and the LeT. In the backdrop of the China-Pakistan nexus, US approach of assisting Indian military modernization through "step-by-step approach" is ludicrous and doesn't inspire confidence. Finally, US and China are developing space weapons and war is predicted between both countries. Indo-US cooperation in hi-tech is very essential. But at the same time, then 21st century conflicts are being dominated by irregular and asymmetric conflicts. In this context the numerous fault-lines of China and Pakistan must find place in the dialogue, even as these issues should remain secretive. All these issues must find place within constraints of a one-day 2+2 Dialogue, for optimizing benefits to both counties and elevation the Indo-US strategic Partnership.